Ranked 10th in UPTU, IPEC is a one of the preferred destination for technical education amongst the private engineering colleges in U.P. It was established in the year 2000, by leading academicians and business leaders in North India, under the aegis of Shail Garg Shiksha Sansathan, a non profit making society. IPEC offers five graduate level courses, namely, Electronics & Communication Engineering (ECE), Computer Science Engineering (CSE), Information Technology (IT), Electrical & Electronics Engineering (EN) and Mechanical Engineering (ME), and three post graduate programs namely, M.Tech (CS, ECE & ME), Masters in Computer Application (MCA), and Masters in Business Administrators (MBA), approved by AICTE and Ministry of HRD, U.P. State Government. Currently more than 2100 students are receiving quality education from 150 distinguished regular faculties. The dedicated faculty equips students with fundamental skills and knowledge of their area of specialization, and use teaching methodology based on latest concepts, tools and technology. Placements: The college has a full-fledged Training and Placement Department, which interacts with corporate houses to explore the possibility of training and job placement of students. Counselling is provided to groom students to meet the standards of the industry not only in technical knowledge but also in interpersonal and communication skills. Interactive seminars on the emerging technologies, personality development programmes, career counselling and industrial visits are arranged to provide an excellent exposure to students. Assists the students develop and clarify their academic and career interests and their short and long term goals through individual counseling and group sessions. Works with faculty members/ HODs to integrate academic curriculum with Project work, Summer Training and Internship Programs. Identifies and updates the right career opportunities for students. Acts as a link between students, alumni and employment community. Imparts training to the students for their overall development and selection during the Campus recruitment activities. Invites the Industries/Companies for recruiting engineers and management graduates. Helps in devloping entrepreneurship skills. 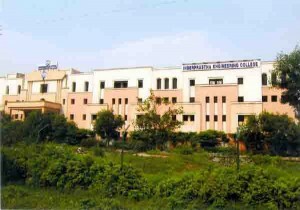 Campus: Ranked 10th in UPTU, IPEC is a one of the preferred destination for technical education amongst the private engineering colleges in U.P. It was established in the year 2000, by leading academicians and business leaders in North India, under the aegis of Shail Garg Shiksha Sansathan, a non profit making society. IPEC offers five graduate level courses, namely, Electronics & Communication Engineering (ECE), Computer Science Engineering (CSE), Information Technology (IT), Electrical & Electronics Engineering (EN) and Mechanical Engineering (ME), and three post graduate programs namely, M.Tech (CS, ECE & ME), Masters in Computer Application (MCA), and Masters in Business Administrators (MBA), approved by AICTE and Ministry of HRD, U.P. State Government. Currently more than 2100 students are receiving quality education from 150 distinguished regular faculties. The dedicated faculty equips students with fundamental skills and knowledge of their area of specialization, and use teaching methodology based on latest concepts, tools and technology. Admission to B.Tech, M.Tech, MCA, MBA courses is carried out through Entrance Test conducted by MTU, NOIDA and seats are filled as per the rules of the U.P. State Government. At IPEC, we maintain a culture of enquiry, research, competitive academic environment, close student faculty interaction and linkages with leading academic institutions and corporate world. We undertake industry specific projects with focus on design, development and delivery. This builds the requisite employability traits in students. Summer internship and mentoring of students by CEOs, technocrats, and professionals exposes students to market driven technology and business processes. Central library: The IPEC library serves as a place where students can delve deeper into their subjects and widen the horizons of their knowledge. The IPEC library boasts of a collection of more than 75,000 books of Engineering, Applied Sciences, Information Technology and Humanities. It also has IEEE Membership for online International Journals, and DELNET membership for resource sharing. In order to help its students to keep abreast with the changes happening in the world of technology, the IPEC library also subscribes to 263 online journals, periodicals, and regional and national newspapers. The library also has annual reports, project and encyclopedia,on various subjects. A substantial collection of CD’s covering the latest programs, and industrial & IT directories are also available. 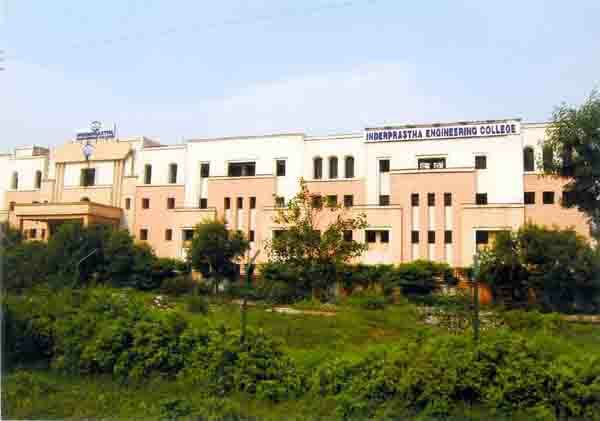 The college has developed a fully computerized library using IPECSoft software and bar coding system. The air-conditioned IPEC library is spread across 1000 sq.m and has sufficient seating capacity. It is equipped with a reference section, separate reading rooms for students and faculty, a reference section, online cataloging and other facilities like lockers for students. Hostel: When one becomes a student at IPEC, one becomes a part of dynamic campus community. The hostel accomodation is available for both the boys and girls on the campus that accommodates nearly 400 boys and 250 girls separately, with adequate furniture and air coolers and provides the students with and ideal hassle free stay. Taking the welfare of the inmates into consideration the hostel inmates have access to the latest information through the newspapers and magazines which are available to them round the clock. Water supply, power supply and geysers are also a part of the amenties provided in the hostel Indoor and outdoor sports facilities, and a television which provides all the channels, serves the purpose of recreation for the students. The hostel comprises ofseparate mess facility for girls and boys where students are given a free rein in deciding the menu under the able guidance of the wardens, to provide a healthy balanced, nutritious and of course, a sumptuous diet to the students. A doctor also caters to the routine medical check up of the students. The students are provided with essential security requrements. Proper sanitaty conditions to help students to maintain their health and hygiene are also provided. Students are made to stay in a peaceful atmosphere, where they can socialise as well as have adequate amount of privacy too. the hottest news program update posted Here.